Pic 1 - Ubuntu 16.04. My current system, after the clean install. Assalamualaikum. 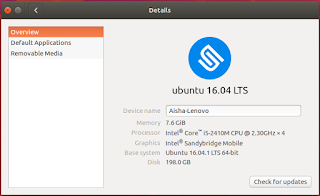 Somewhere in August i did an in-place upgrade (see Pic 2) for the operating system on my laptop, from Ubuntu 14.04 Trusty Tahr (see Pic 3) to Ubuntu 16.04 LTS Xenial Xerus (see Pic 4). Pic 2 - Upgrade option. 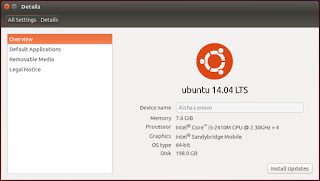 Pic 3 - Ubuntu 14.04. My previous system. 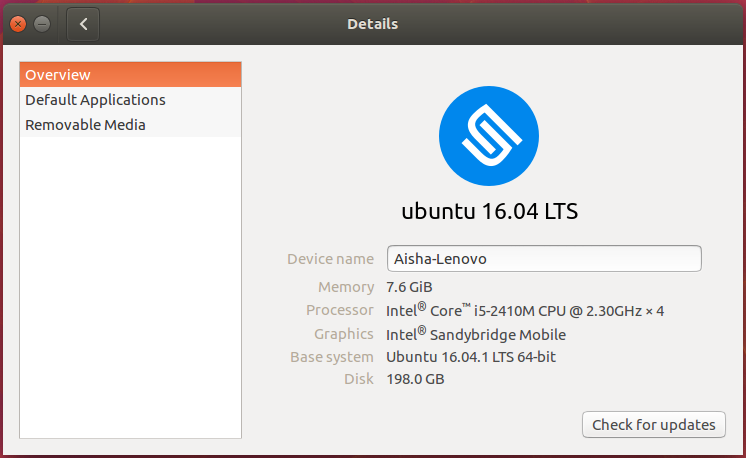 Pic 4 - Ubuntu 16.04. My 'new' system, after the in-place upgrade. The last time the system was running fine before any problem started, what i did, i think, was, i switched the laptop to Suspend mode, then left it like that until the battery ran out a few days later. The next time i started-up the system, that was when the first problem started. And it wasn't just Ubuntu that had problems, somehow Windows 10 did too. The first problem. The first problem was with the display. Everything on the screen was big, as if a small-sized digital photo was stretched to become the wallpaper for a big-sized digital screen, minus some pixelation. Imagine the screen resolution is best at 1366×768 pixels, but the output resolution is 1024×768 pixels. Later on the problems alternated --depending on which problem i tried to solve-- between the display problem and the login-screen loop problem. The display problem came from the absence of the graphics driver. But...! Install a driver, any driver, the right driver even, and the login-screen loop problem surfaces at the next system startup. To be absolutely sure i got the correct driver i downloaded the specific driver from NVIDIA's website but no matter which graphics driver was installed it would lead to the login-screen loop. The second problem. The second problem was the login-screen loop where the login screen would go into a loop; from the login screen (key-in the password then press the Enter keyboard key), a flash of black screen, then taken back to the login screen. If i installed a driver for graphics, the login-screen loop problem will surface at the next system startup, and will remain for as long as the driver is present in the system. If i removed the graphics driver, login was okay and that i could login, but the display was kind of 'zoomed-in', and sometimes the system would hang after some time for no reason and required a hard restart. Solution? After trying out a few online remedies and combinations, nothing seemed to solve the problems. The foolproof way to make the problems go away is to do a clean install. It was high time for some digital cleaning anyway. Data from Ubuntu and Windows were backed-up on an external hard disk. 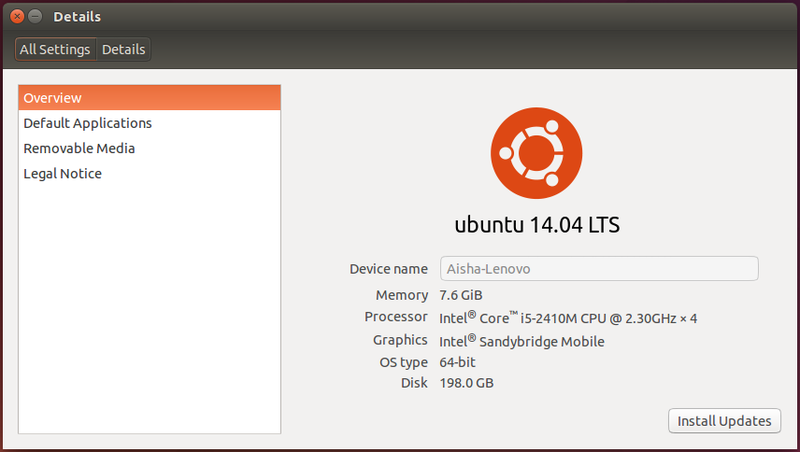 Abang told to start with Windows, so i started to troubleshoot Windows and later Ubuntu. Windows 10. With Windows, i did a reset where i chose to Keep my files. See Pic 5. The reset process was pretty simple and straightforward. Customizing afterwards took some time. Pic 5 - Resetting Windows 10 on my laptop and at the same time retaining my personal files from the wipe. 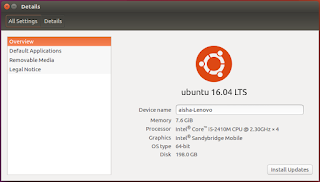 Ubuntu 16.04. 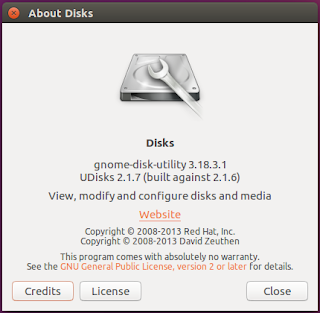 With Ubuntu, i did a clean install using a pen drive as a startup disk. 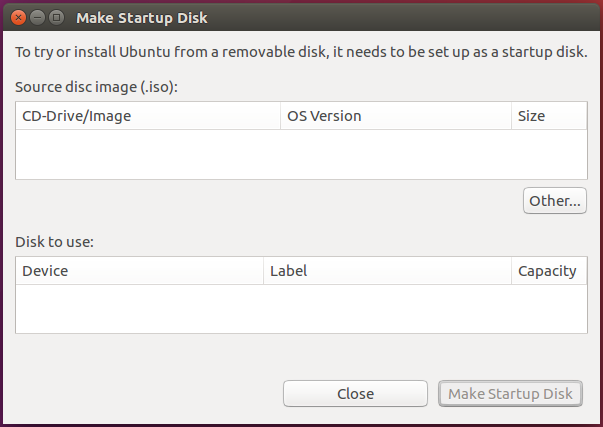 The startup disk was created on the 'in-place' Ubuntu 16.04 system using the Startup Disk Creator app (see Pic 6 and 7). 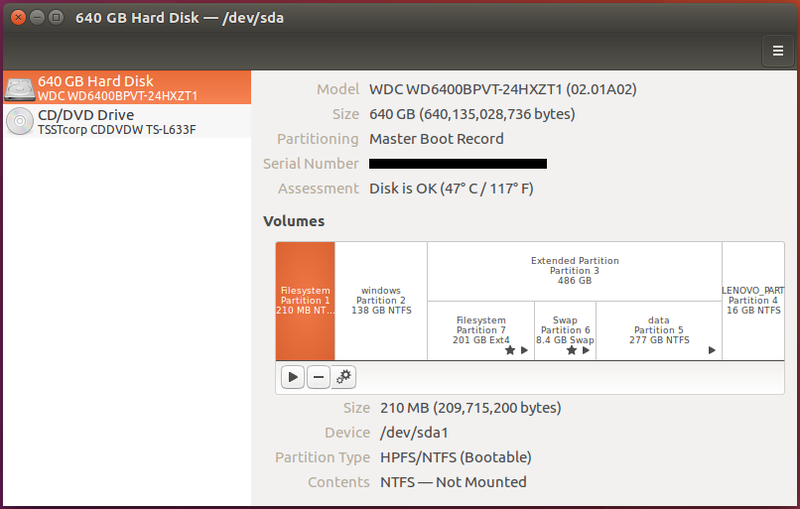 The process was a breeze, other than setting the disk partitioning; boot, swap and whatever else. I'll need to read-up on that. After the clean install was completed, the pen drive was formated using the Disks app (see Pic 8, 9, and 10). 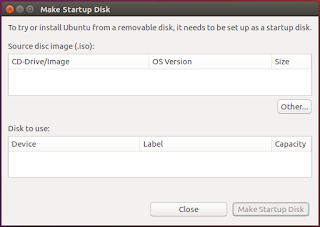 Pic 6 - The Startup Disk Creator icon. Pic 7 - The Startup Disk Creator app. Pic 8 - The Disks icon. Pic 9 - The Disks app. Pic 10 - The About for the Disks app. Creating a startup disk and installing from a pen drive is something i have never done before. What i usually do is burn the ISO image to a DVD disc then install. But this time i couldn't find an empty disc. There were empty CDs but no empty DVDs. What‘s the difference between a "disc" and a "disk?" Now. 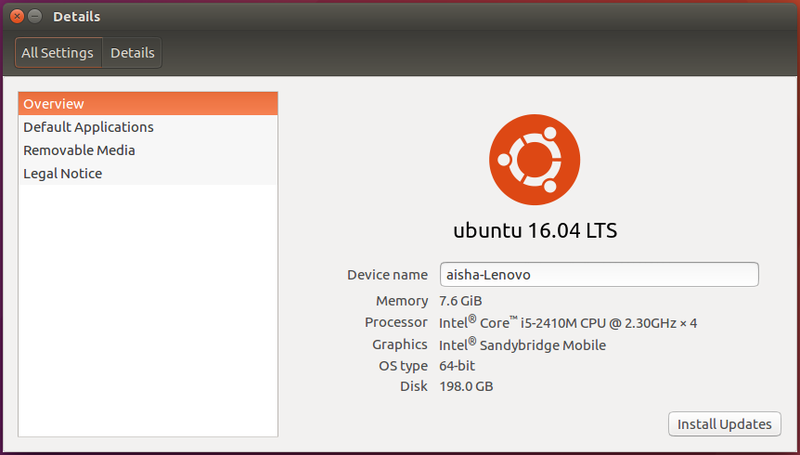 Everything seems to be running as supposed to, except for a problem with a Ubuntu font, specifically Ubuntu Light.